The water in Menorca has a high calcium content causing damage to your boiler, dishwasher, washing machine, water heaters, boilers, plumbing etc. Did you also know that hard water causes dry skin and is very bad for people who suffer from psoriasis or eczema? Also, hard water can make your hair feel rough and tangly as it makes the scales on each hair shaft stand up. Water softening is the removal of calcium, magnesium, and certain other metal ions in hard water. The resulting soft water is more compatible with soap and extends the lifetime of plumbing and is better for your skin and hair. 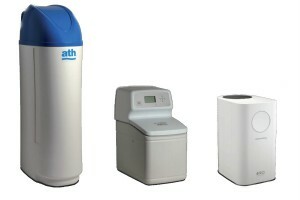 We can install and maintain water softeners. We will work out your needs and provide you with the correct solution. Menorca obtains it's water from aquifers, or ground water. These have been over exploited causing a concentration of nitrates. In 2004, the World Health Organization declared a maximum recommended value of 50 mg / l nitrates in drinking water. Unfortunately this level is occasionally exceeded in Menorca, as an example it reached 53 in July 2015 in Sant Lluís and is constantly at the limit of this level. 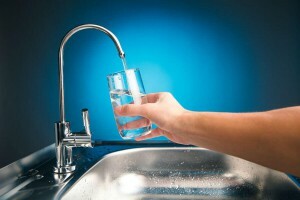 We can install and maintain water purifiers which will remove around 90% of these nitrates, along with other impurities, lowering the levels to well within the recommended ranges.